These brand new Babolat Mens Tennis Shoes in the NEW red/blue colour for 2018. 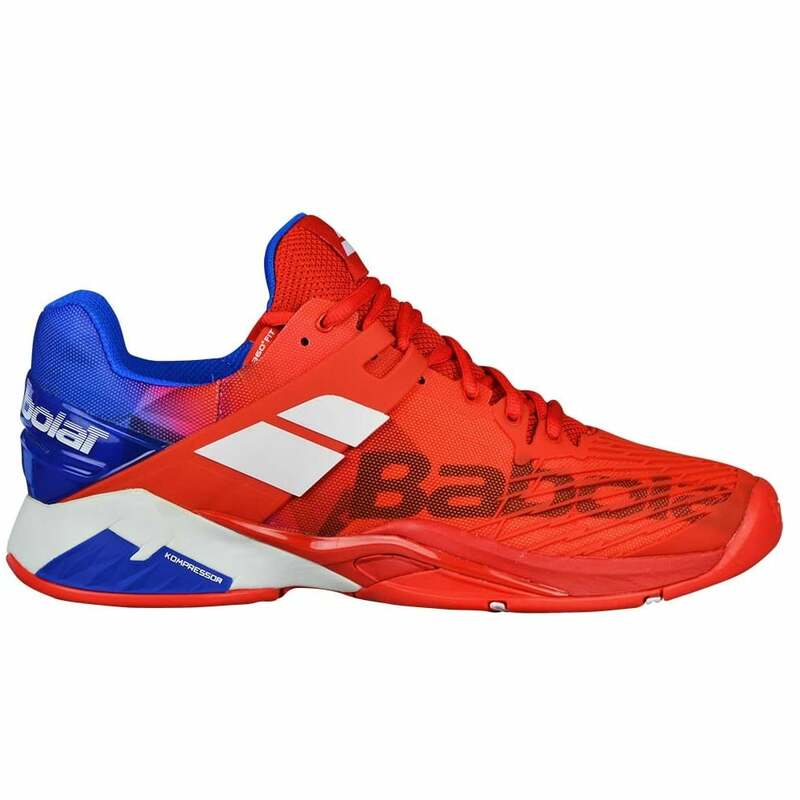 The ever popular Babolat propulse was reengineered last year, designed for aggressive players who need the maximum amount of support. 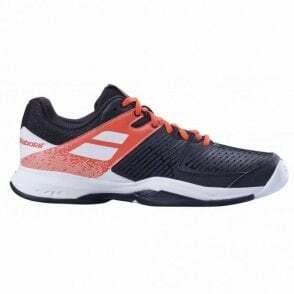 These tennis shoes are designed for performance players looking for superior support, stability and durability. Active Flexion - Shape & makeup of the materials used address 9 key pressure points for maximum responsiveness. 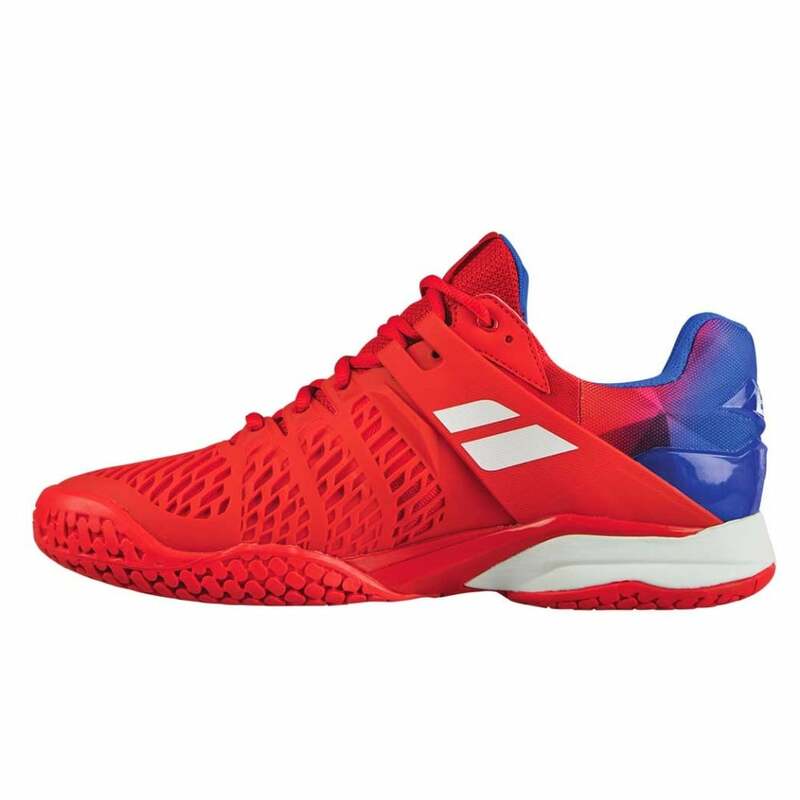 Babolat Propulse Fury All Court Mens tennis shoes 2018 (red/blue) are the ideal choice for any tennis player. They are very grippy on the surface due to the Michelin rubber used on the soles. 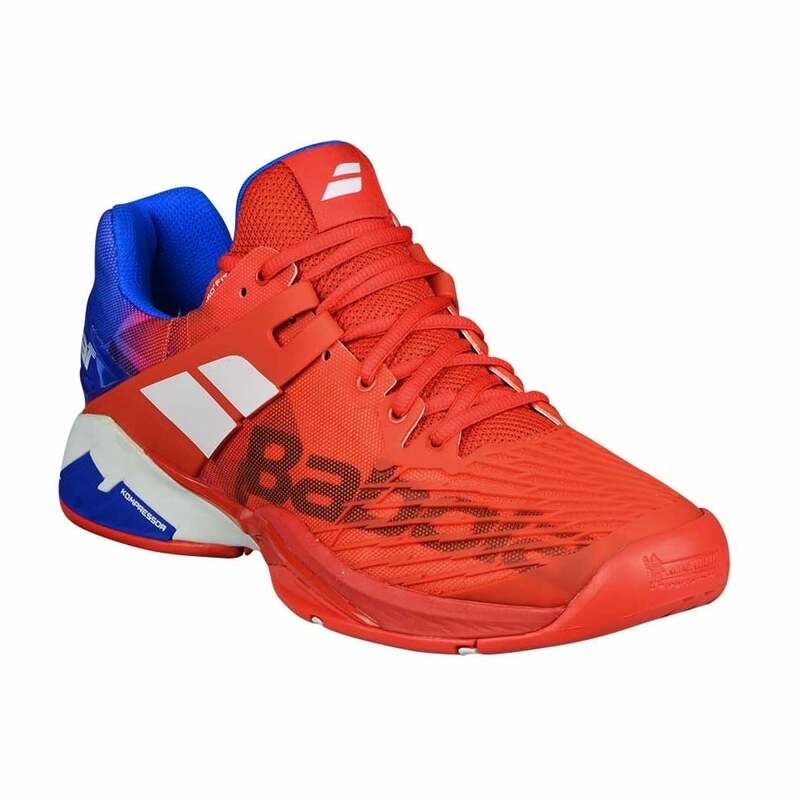 These tennis shoe features a new 360 degree Insock, this makeup completely wraps the foot, as well as the higher instep, it offers an outstanding secure feeling. Another reason for the ultimate support is due to the new 'Power Belt' that tightens automatically when you lace the shoe, in order to offer full support and stability, especially with lateral and diagonal movement. 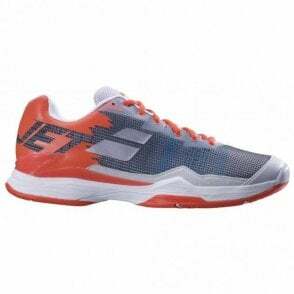 Ideal tennis footwear for tennis players on any surface. 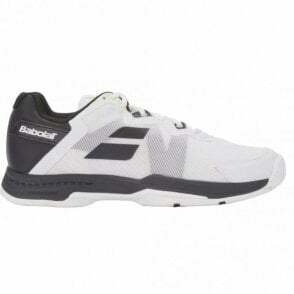 MDG Sports had a couple of samples of this shoe for the past 2 months. 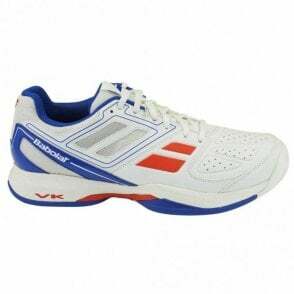 One pair was given to our sponsored coach, Brian Mcfadden, head tennis coach of Max Tennis School. over the past 20 years he has worn many different types of tennis shoe. 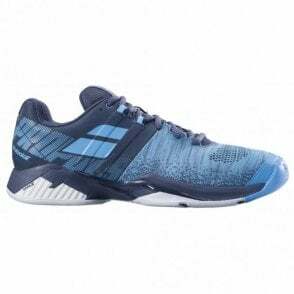 He felt these were the best shoe he has ever worn with the ultimate support as well as comfort suits he perfectly for coaching all day long. Vibrakill - A proven effective shock absorbing heel. Exceptional comfort and shock protection. 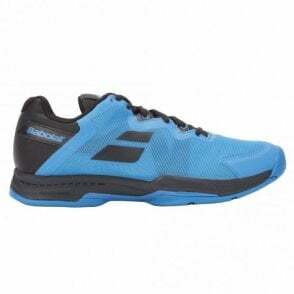 TI-FIT - Optimal material distribution based on tennis players’ footwork, the new TI-Fit (Tennis Inside) feature provides strategically positioned support (heel, instep, forefoot) for precise, sure footing and comfortable flexing and bending of the foot. Power Belt Construction - Optimal heel and midfoot support reinforced by an external shell T- Fit.